Google takes on the OTAs and has decided to enter the OTA business directly through a licensing deal with Room 77. Room 77 is a OTA startup that currently has hotel listings located only in the US. 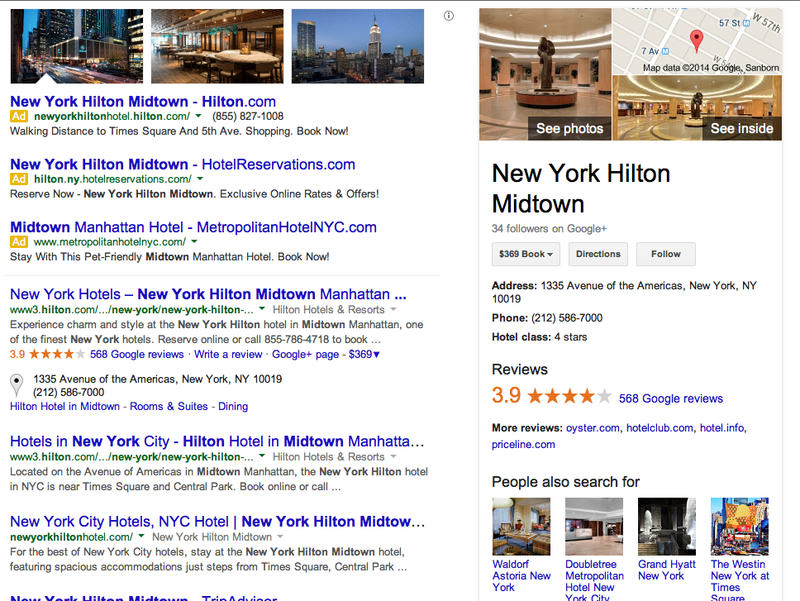 Despite the money that is earned by Google from OTAs like Expedia, Booking.com and Travelocity, Google Inc (GOOG) is moving boldly to play a larger role in booking hotel rooms—at the risk of offending some of its most important advertisers. Google is adding more photos and reviews to its hotel listings, so they increasingly resemble those of travel search sites such as Priceline Group Inc. (PCLN) Expedia Inc(EXPE) and TripAdvisor Inc. (TRIP). And it is more aggressively promoting its “hotel-price ads” that post room rates directly as travel-search sites do. The idea is to encourage travelers to plan more of their trips directly on Google. In the process Google gets them closer to making a booking, which experts expect will make referrals more valuable, prompting travel agencies and hotel operators to pay more for clicks on Google ads over time. It also encourages more hotel operators to place ads on Google directly, bypassing online travel agencies that charge commissions of up to 25%. In its latest move related to hotels, Google on Monday struck a licensing deal that will give it access to technology from hotel-booking software startup Room 77 while adding engineers to Google’s hotel-search team. But the move is risky: Online travel agencies are among Google’s biggest advertisers. Priceline Group will spend more than $1.5 billion in 2014 on Google advertising and Expedia could spend another $1 billion, mainly to attract hotel bookings, estimates RBC Capital Markets analyst Mark Mahaney. Those two alone could account for nearly 5% of Google’s ad revenue this year, Mr. Mahaney estimates, even though the company has over a million advertising customers. The hotel-price ads on Google are “a game changer,” said Erik Muñoz, an executive director at hotel-booking software company SiteMinder. He said Google’s new ads allow hotels to compete with online travel agencies for a direct booking, potentially driving down their costs. “Any time you’re dealing with Google it pays to be careful and know what its long-term strategy is,” says Tom Botts, chief customer officer at Denihan Hospitality Group, which is testing the virtual tour at its Miami property. The relationship between Google and online travel agencies can be even more tense. They fear Google’s moves to establish direct relationships with hotels, said one executive of Orbitz Worldwide Inc. (OWW) Expedia and TripAdvisor are members of FairSearch.org, an advocacy group that highlights what it sees as Google’s anticompetitive practice of promoting its own services in search results. Even so, they remain big spenders on Google advertising because of the valuable leads. With continuous improvement of their ‘Google Places’ interface, Google has been developing their ‘hotel search’ offerings. Users searching for hotels will find virtual tours, reviews, ratings, directions, pricing and much more. With the integration of Room 77, they will be able to book directly with each hotel through the Google Search interface. This indeed is a game changer. For independent hoteliers, a few questions come to mind. How much will their cut be? Expedia commissions are currently at 25% and Booking.com between 15-20%. Will the Google/Room77 pricing structure be the same or will they create a hybrid structure that includes advertising? How will they incorporate Google Adwords into the equation. Will it be an extention of their Adwords Express where advertisers can place an ad right from their Google Places account? Finally, the moment many hoteliers have been waiting for… The end of the OTA. Or is it? It might not yet be time to do the happy dance. Not until we learn if it is a fresh approach possibly bringing hotel costs down and increasing actual bookings or just ‘more of the same’ albeit on a grander scale. Or possibly something more sinister? The important question is… What will it mean for independent lodging owners? Stay tuned… this is promising to be quite the ride. Whether it’s a fun ride or not, at least for independent lodging professionals, will be determined at a later date.